Cut courgette into slices of approx. 0.5 cm, fry briefly in hot olive oil from both sides and season with salt, pepper, garlic and rosemary. 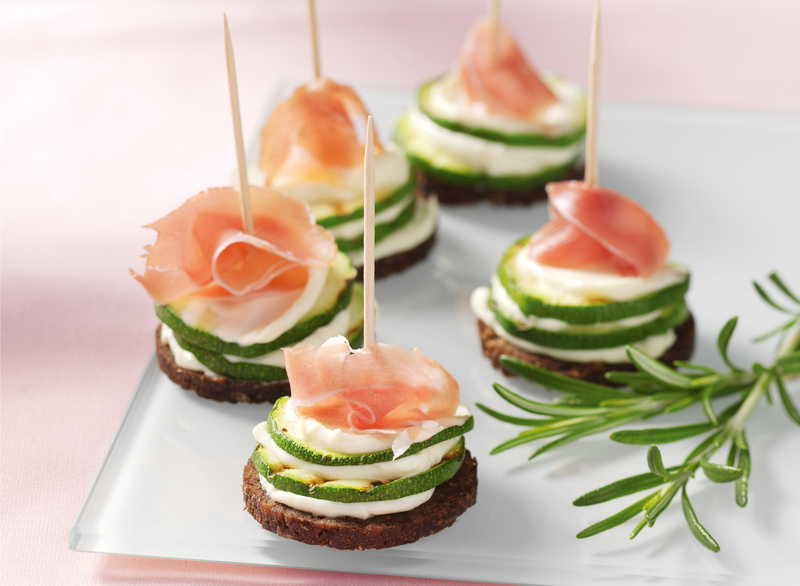 Alternately stack courgette and cream cheese on the slices of pumpernickel and put 1 slice of Parma ham on top. Secure it with a toothpick. Tip: Also tastes delicious with Serrano ham! Also mouth-watering with cream cheese salami flavour!